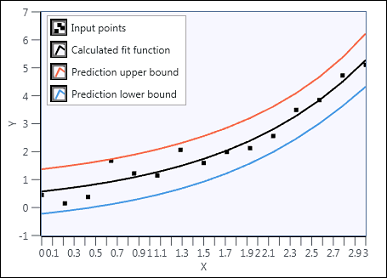 Calculates the prediction interval of the best exponential fit for an input data set. Upper bound of the prediction interval. Lower bound of the prediction interval. In the following illustration, the region between the upper and lower prediction bounds is the prediction interval.